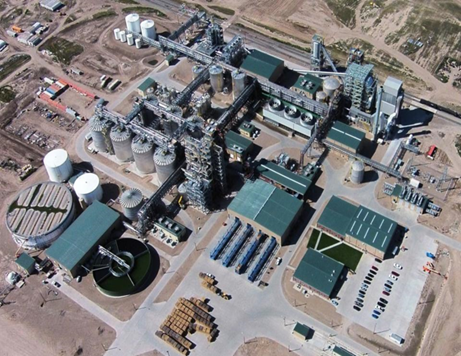 December 9, 2016 – Abengoa Bioenergy Biomass of Kansas (“Abengoa”) closed the $48.5M sale of its cellulosic ethanol plant located in Hugoton, Kansas to Synata Bio, a renewable energy company who was the successful bidder in an auction conducted under the US Bankruptcy Code. Ocean Park acted as exclusive sell-side advisor to Abengoa. The assets are comprised of a state-of-the-art 25 MGPY cellulosic ethanol biorefinery with an integrated, co-located biomass-to-electric-power 21 MW cogeneration plant. Ocean Park was involved in all facets of this transaction – securing the debtor-in-possession financing, developing the marketing strategy, contacting over 200 parties in the sales process, and generating interest from multiple bidders in the auction. Synata Bio’s prevailing bid in the auction was nearly double that of the stalking horse bid. “This sale marks the twenty-third successful renewable fuels transaction for Ocean Park, which further solidifies our position as a leading advisor in the sector,” said Bruce Comer, an Ocean Park managing director. “We believe that repositioning the plant into the hands of a company like Synata Bio is positive for the advanced biofuels industry,” added John Campbell, another Ocean Park managing director. Abengoa (MCE: ABG.B/P SM /NASDAQ: ABGB) is a Spanish multinational corporation that applies innovative technology solutions for sustainability in the energy and environment sectors, generating electricity from renewable resources, converting biomass into biofuels and producing drinking water from sea water. For more information, please visit www.abengoa.com. Synata Bio is a leading high efficiency gas-to-liquids technology company based in Warrenville, Illinois. The company’s low-cost process converts a wide variety of abundant feedstocks, such as natural gas, biomass, MSW, and industrial gases into drop-in fuels and chemicals. Synata Bio deploys a simple and novel technology for converting synthesis gas to products by combining proprietary biocatalysts with proven and scalable fermentation design. This single step process is a robust technology platform with high carbon utilization and energy efficiency. Ocean Park is a boutique investment bank that advises on mergers and acquisitions, financings and restructurings with extensive experience in the renewable fuels, cleantech, food and agribusiness industries. Ocean Park has completed 23 renewable fuels M&A transactions since 2006. Any securities are offered through Ocean Park Securities, LLC, a member of FINRA and SIPC. Ocean Park’s professionals are licensed registered representatives of Ocean Park Securities, LLC. For more information, please visit www.oceanpk.com.